Formal entertaining sometimes seems like a lost art. But for this client, it is alive and well. 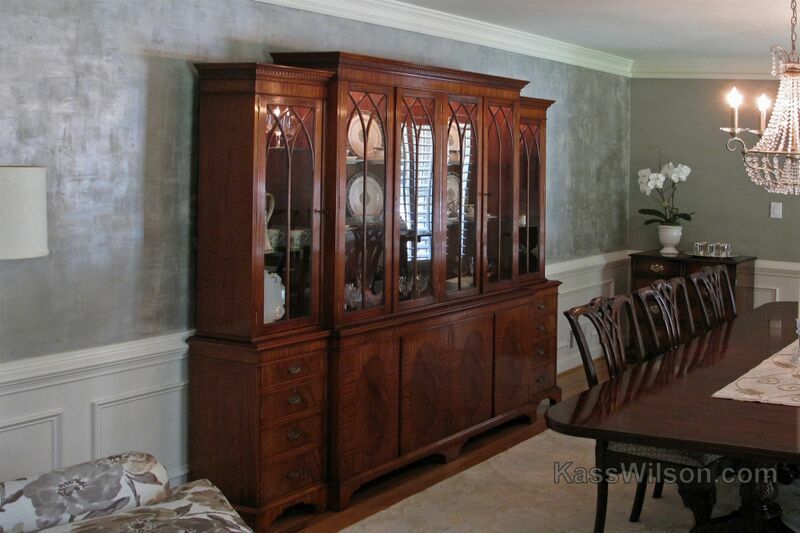 So when it came time to remodel, her goal was to keep her traditional furnishings but get an updated appearance. 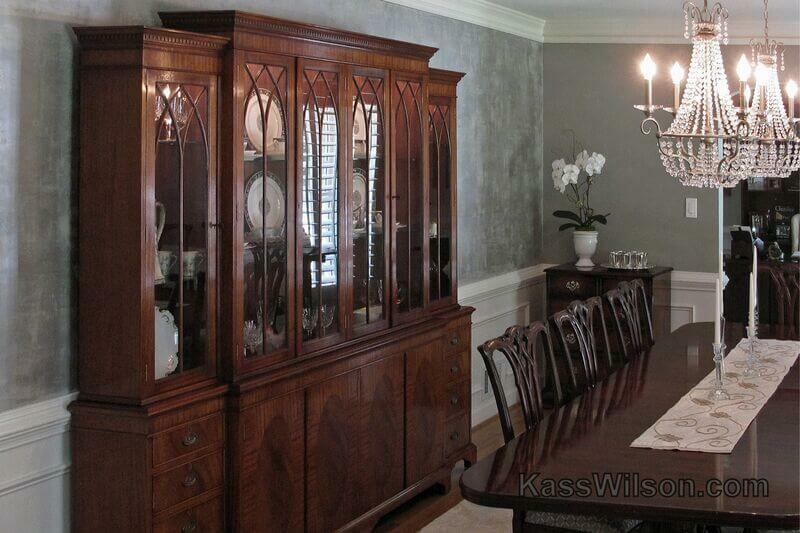 Over the years, she has collected beautiful china, crystal and silver pieces. They deserved to be surrounded by elegance. 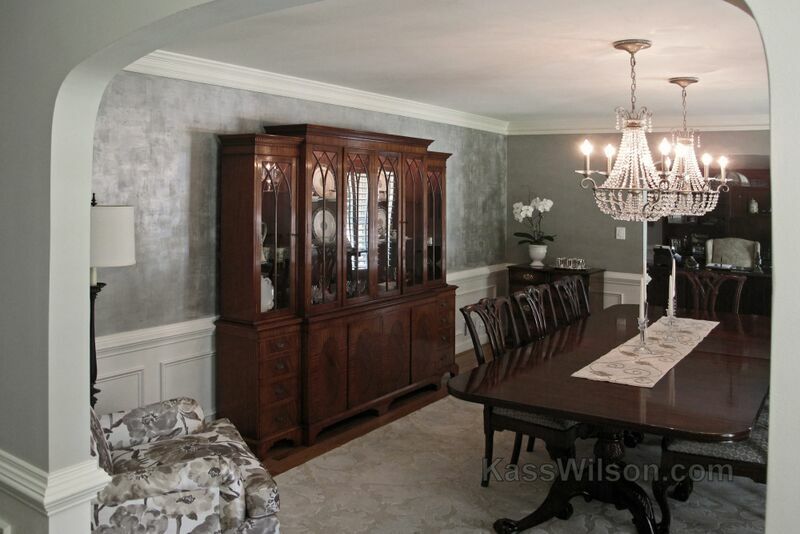 A shimmering feature/accent wall became the perfect backdrop to feature the china cabinet. 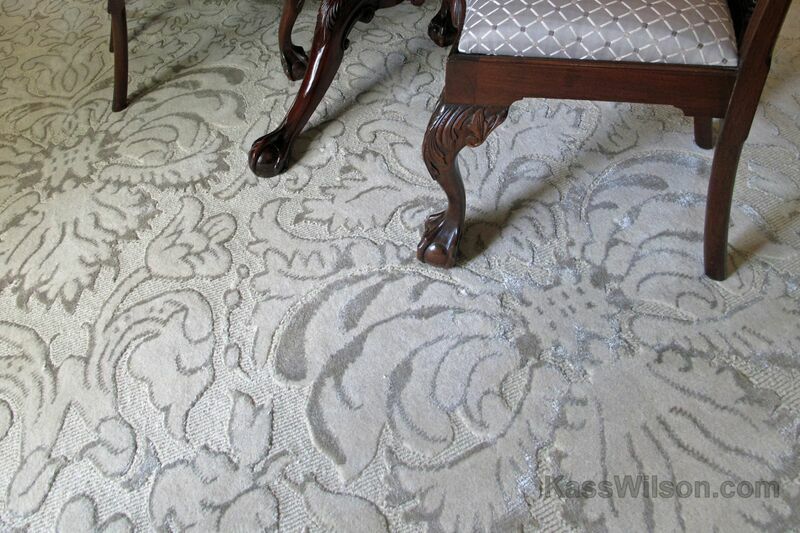 The reflective qualities of this faux finish echo the depth of colors from the sumptuous rug and sparkle from crystal and silver accessories. 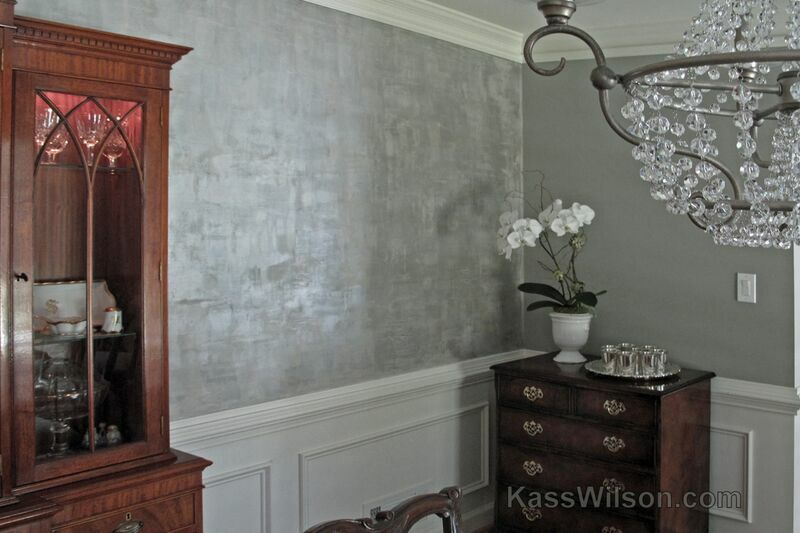 The soft hues of gray were complimentary to the silver serving pieces and represent this client’s sterling reputation for beautiful entertaining. So lucky to have worked with you again Kass! 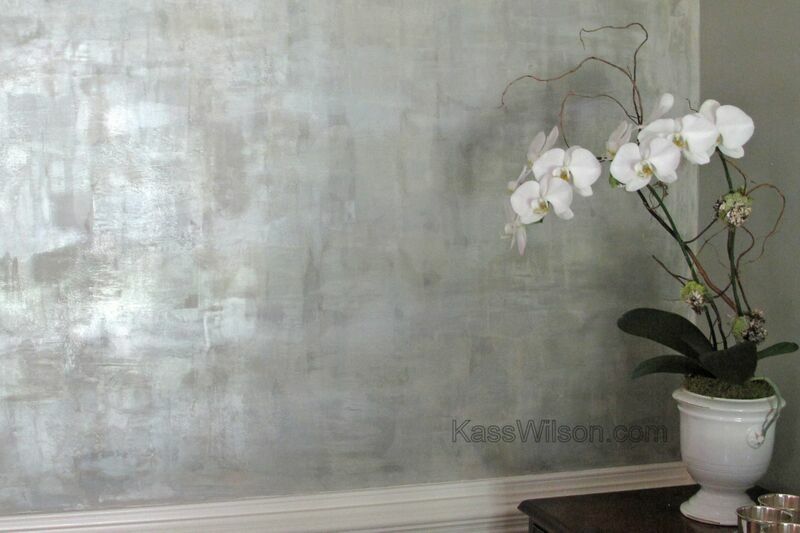 Your talent shines and both the homeowner and I are so pleased! Thank you for sharing and being such a super trade partner!